When one of our customers in the floor tile industry was looking for ways to cut cost and better utilize their manpower, our team of designers went to work to solve a ten-year-old production-line problem with inefficiencies on the line. 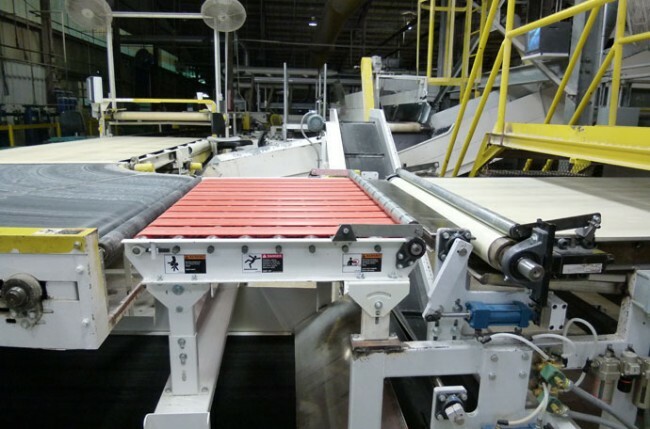 IDS was able to save our client tens of thousands of dollars per year in wasted labor, and also better ensure the quality control of their product, by identifying scrap sections of tile with a photo-eye which then activated a custom-designed and built mechanical scrap diverter down-stream in the conveyance line. © Integrity Design Services, Inc.